The countdown to the Pakistan Super League 2019 has already started and less than three weeks remain before the cricket festivity season begins in full force. Defending champions Islamabad United will take on Lahore Qalandars in Dubai on February 14 and the 32-day spectacle in which 34 matches will be played will culminate in Karachi on March 17. Pakistan’s love for T20 cricket is well-known. It was one of the first nations that adopted the concept of 20 overs cricket as indicated by a buoyant crowd of 25,000 people which showed up to watch the final of Pakistan’s first-ever domestic T20 competition in Lahore in 2005. The idea of Pakistan’s own T20 league was first mooted in 2008 and materialised in 2015 when the PCB sold five franchises – Karachi Kings, Lahore Qalandars, Peshawar Zalmi, Islamabad United and Quetta Gladiators — to different business groups for a combined sum of $93 million for 10 years. In the first players’ draft of the league, that took place in Lahore in December 2015, 98 top-ranked cricketers, including 29 overseas, were picked by the five teams. Shahid Afridi, Shoaib Malik, Shane Watson, Kevin Pietersen and Chris Gayle were the five icon players snapped up by Peshawar, Karachi, Islamabad, Quetta and Lahore, respectively. The PSL’s first edition in 2016, a 24-game event, was staged in February across two UAE venues – Dubai and Sharjah. And who could have asked for a better start to the history-marking tournament when in the opening game in Dubai, the underrated Gladiators got the better of a fancied United, and, on the following day, Kings’ Mohammad Amir took a hat-trick against Qalandars. Almost all games of the tournament were well-received by the passionate and die-hard cricket crowds. Lahore vs Karachi, for example, was watched in Sharjah by a crowd reminiscent of India-Pakistan games in the 1990s. The final in Dubai was also a house full. United won the tournament at the back of five consecutive wins with captain Misbah-ul-Haq lifting the trophy after his batsmen successfully chased 175 against Gladiators. Umar Akmal of Qalandars finished the tournament as best batsman scoring 335 runs at a staggering strike-rate of 157.27, while Andre Russell capped off the event as best bowler taking 16 wickets at 17.25. The second edition of the PSL, played in February and March 2017, could well be remembered as a watershed moment in cricket’s return to Pakistan. The tournament, akin to the previous edition, was held in Dubai and Sharjah but the final between Zalmi and Gladiators was staged in Lahore and watched by over 20,000 people. There was an air of buzz and excitement in the country ever since it was announced that the final would be played in Pakistan. The teams reshuffled their squads and brought in new faces in the draft held in Dubai some four months before the tournament. Qalandars made a few high-profile signings, roping in Brendon McCullum, Sunil Narine and Jason Roy, whereas Kings picked up Kieron Pollard and made Kumar Sangakkara their captain. Zalmi signed Eoin Morgan and handed the leadership duties to Daren Sammy. On the evidence of new signings and competitive games, the tournament was a bigger success than the previous edition. Eleven out of 24 games were potentially decided in the last over, including the first playoff in Sharjah that saw Quetta defend two off three balls and win by one run. Zalmi comfortably won the final against Gladiators, who, for the second year running, were runners-up. One of the star performers of the second edition was Zalmi’s Kamran Akmal. He scored 353 runs at a strike-rate of 129.30 to win the player of the tournament award. Sohail Khan led the bowling charts, pouching 16 wickets for Kings. The third edition brought big-time cricket back to Karachi after a gap of nine years as the city of lights hosted the final between United and Zalmi. The two eliminators were played in Lahore, while UAE hosted a Qualifier and the group stage. Joe Denly, Colin Ingram, Ravi Bopara (Karachi Kings), Daren Sammy, Liam Dawson, Andre Fletcher (Peshawar Zalmi), JP Duminy, Samit Patel, Luke Ronchi (Islamabad United), Thisara Perera, Mahmudullah (Quetta Gladiators) were some of the high-profile overseas players who entertained the cricket crazy crowd in Pakistan. The first eliminator in Lahore was a thriller in which Gladiators’ Anwar Ali, chasing 25 runs from the last over by Zalmi’s Dawson, fell short of the target by just two runs. The biggest hero of the tournament though was United’s Ronchi, who in his maiden appearance in the tournament, accumulated 435 runs at a whopping strike-rate of 182.00. His best was a 39-ball 94 not out in the qualifier against Karachi in Dubai. That United won the tournament for the second time was down to Ronchi’s swashbuckling batting throughout the event as well as his 52 off 26 balls in the final, which was attended by nearly 30,000 spectators at the National Stadium Karachi. 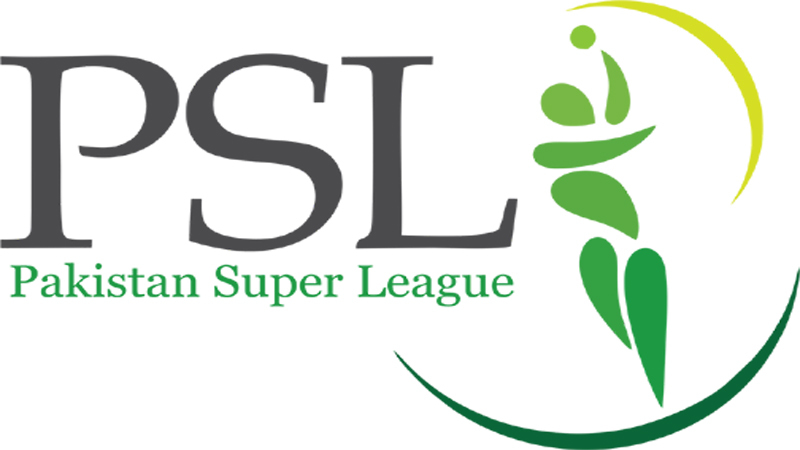 The PSL’s ever-growing popularity and worth can also be established from the facts that the third edition had 10 more games and welcomed a new team in Multan Sultans that was sold to a Dubai-based enterprise for twice the amount of the previous most expensive franchise. Published in Daily Times, January 28th 2019.